is one of the most important aspects of the Aston Martin DB9. As such, many of the articles I’ve created related to the wheels and tires. I thought I’d collect them all into one place so you can browse them more easily. Enjoy! Installing a Road Wheel – How to get a wheel back on without hurting it or your back. Torqueing the Wheel Nuts – It’s important to tighten the wheel nuts in the right pattern and to the correct torque spec. Cleaning your Wheels – I share some tips on giving the rims a detailer level cleaning. Replacing the Center Caps – Find out if your wheel center caps are rattling and how to replace them if needed. 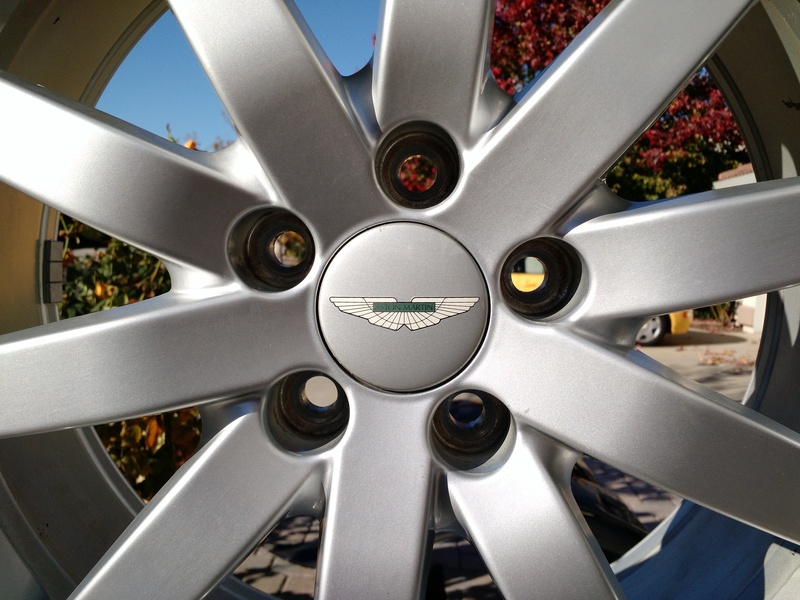 Tire Pressure Sensors – The TPMS in the DB9 will alert you to more conditions than low tire pressure and this article describes it all. Seasonal Tire Pressure Warnings – If you live in a climate with wide temperature swings throughout the year, its likely you’ll get TPMS warnings as the seasons change from warm to cold. 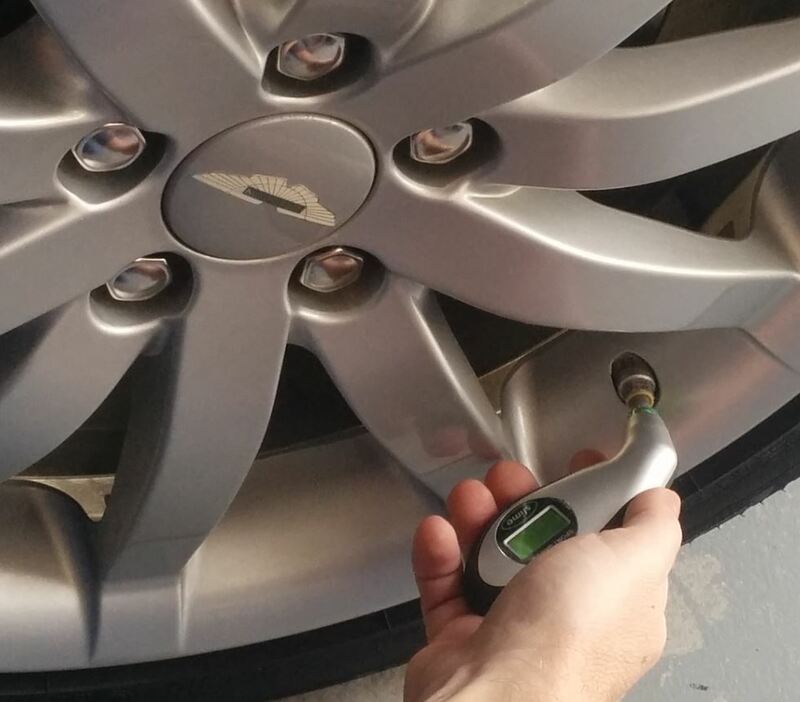 Checking the Tire Pressures – An often neglected maintenance aspect, but very easy to deal with. 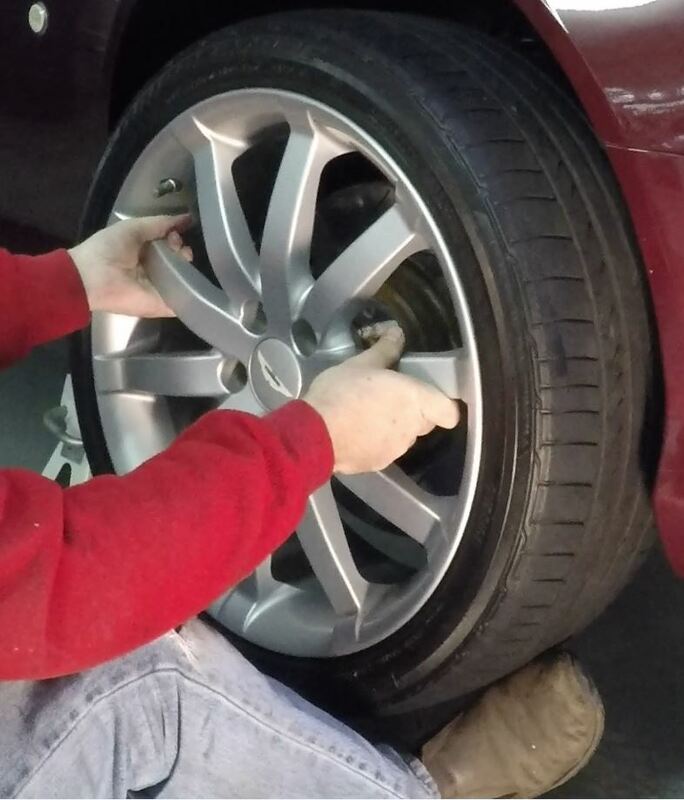 Inspecting the Tires & Rims – As part of every annual service you should be inspecting the condition of the tires and rims (your dealer does when you take it in – so you should be doing this if you do your annual services yourself). In this article I show you how to go through the process. 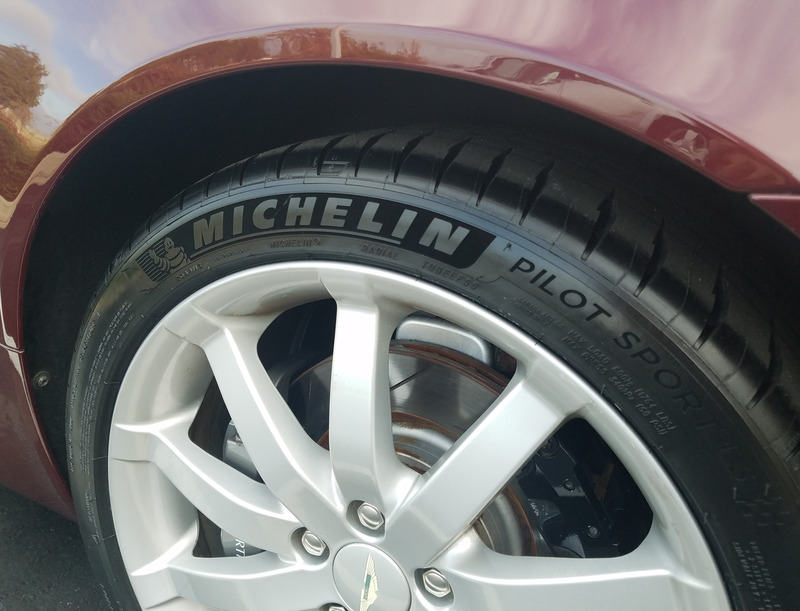 Measuring the Tread – As part of every annual service you should measure the tire tread depth on each tire and inspect them for signs of uneven wear. Based on the results you’ll know if you need to replace your tires soon. Dealing with a Puncture – When you get a nail in one of these giant tires it can be properly fixed and still maintain its manufacturers speed rating, but only if you do it right. 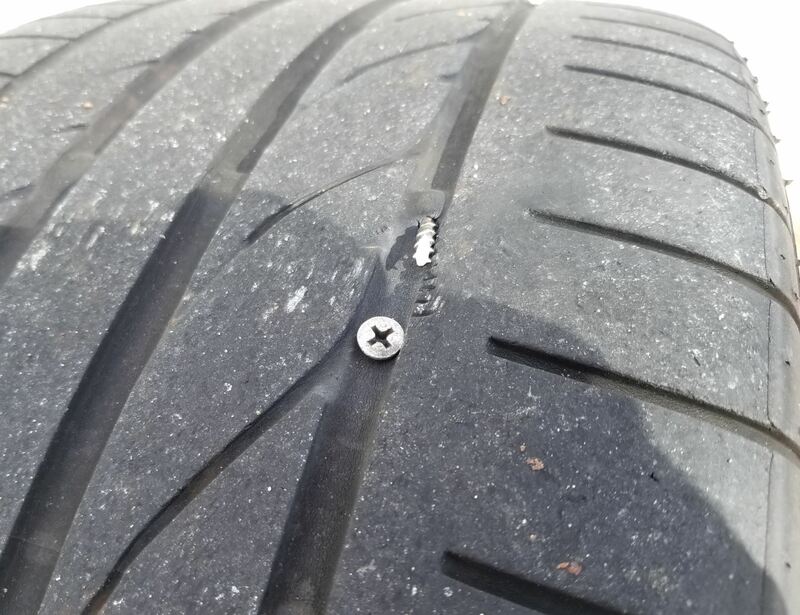 Replacement Tire Options – When your tires eventually get worn out or two old to drive on safely you have more choices than the original Bridgestone’s to consider. Installing New Tires – Once you’ve decided to change the tires you need to order, mount, balance, install and align them. How to do a Donut in a DB9 – And as your old tires are used up and you head to the dealer to get the new ones installed, why not let your inner hooligan peak out for a few minutes of fun!